Originally launched in 2011, Snapchat has become one of the most popular social messaging and photo sharing apps worldwide; making its CEO and co-founder Evan Spiegel one of the richest social media entrepreneurs. With an estimated 37 million monthly active users in the United States, Snapchat easily ranks among the most popular social apps in the country. According to U.S. teenagers in fall 2018, Snapchat is the most important social network of their generation, ahead of photo sharing competitor Instagram and other networks such as Twitter or Facebook. Snapchat’s appeal with younger mobile users is also confirmed through the audience breakdown of the social app – almost a third of adult users were aged 18 to 24 years. 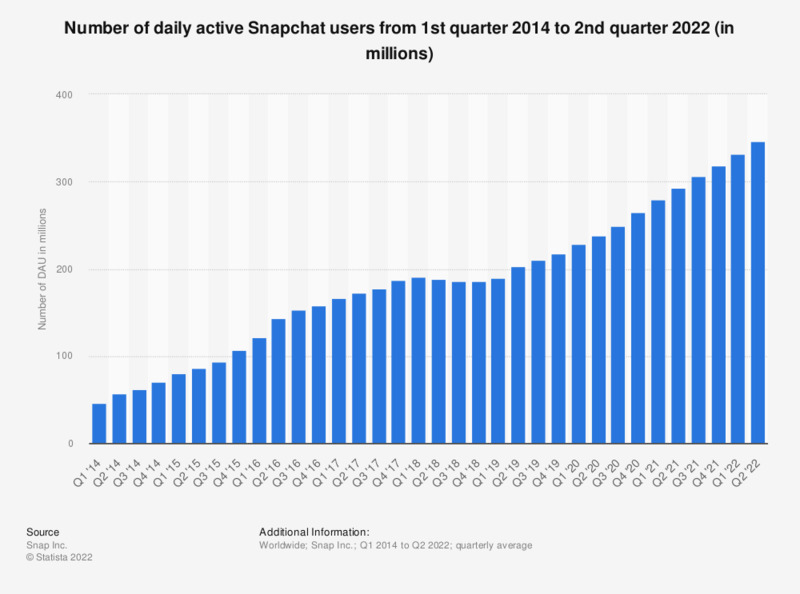 As of May 2016, Snapchat generated 10 billion mobile video views per day. Many brands have already started to take advantage of Snapchat’s reach to enhance their digital footprint – the most popular brands on Snapchat Discover according to U.S. youth Snapchat users were BuzzFeed, Comedy Central and iHeart Radio. Some industries lag behind others in terms of Snapchat adoption – sportswear, beauty and fashion rank first but watch & jewelry, auto and travel have yet to take to the social sharing app. The payoff of Snapchat for brands is yet to be determined – the most popular Snapchat activity among youth users is accessing snaps & stories from people they are personally acquainted with, with brand discovery ranking behind other daily activities.